Because of the plethora of instructional programs available it can be overwhelming for the layperson to determine which one or ones to invest in. 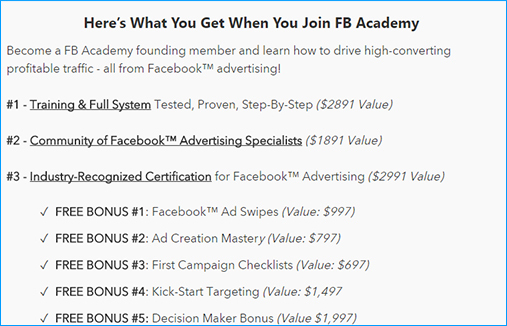 If you are wondering whether FB Academy is a scam or a great opportunity, you are in the right place. Once you understand the product and the skills you will gain, you can determine for yourself if this is the way for you to catapult your company to the next level. Whether you already have an established business or are in the beginning stages of planning the FB Academy provides a wealth of information to help you make better choices. While the internet itself is a great resource for reaching consumers you need to find the right websites to depend on. The social media giant Facebook is one such site. While you probably have a personal Facebook account to communicate with friends and family, that does not tap into the full potential the site provides. Consider some statistics related to it, including a Pew Research poll that revealed more than 70 percent of internet users have and use a Facebook account. That is a pretty staggering number when you think about it. On top of that, almost three-quarters of folks use it professionally. Currently there are more than five million advertisers using the site, some more successfully than others. Anik Singal’s FB Academy teaches the techniques to make the most of your FB business account in order to tap into this consumer-rich market. Over 100 million hours of video content are watched daily, and you could be among those views if you learn how to use the site correctly! Many business owners avoid social media advertising because they don’t know how to do it. You might be among those who are intimidated by the process but have seen others make boatloads of cash by advertising on the site. In fact, one of the reasons that so many people avoid the platform is because of the abundance of features that are offered. With FB Academy, you can learn how to use the ones that are most important to your needs! The process Anik Singal‘s system uses breaks down into three simple steps. The first one involves determining your objectives and the target audience you want to reach. Next, you need to create effective ads that will speak to that audience and help you reach your goals. Once you have done that, you will be ready for the third step, which is scaling up your advertising in order to reach the financial goals you want to achieve in the long term. The FB Academy has nine complete training modules that provide all of the information you need for success. However, it doesn’t stop there. In addition, there are five bonus programs that will help you to tweak your system even further and enhance your success in the online marketing world. After all, don’t you want to do everything you can to master FB advertising? These instructions will cover it for you and even includes interviews with other internet marketing experts. The first module provides the basic information you need to begin. Next is the sales funnel tutorial, which is vital to mastering internet marketing. Facebook is the perfect platform for your sales funnels, and this training module not only explains why they are important but how to establish them for success. In the third module you will learn about the value of landing pages and how to create them. You can have the perfect ads on the site but if the links lead to poor quality landing pages you are going to turn customers off. In fact, those who were considering your offerings might even reject you completely if these links don’t work or lead to something other than what they expected. Your pages must have specific data and the right presentation in order to be effective. Once you have completed this module you will know how to do that. In the fourth section FB Academy teaches you how to create the perfect ad. After all, if you want them to find your landing pages you have to start with a good ad. Although millions of businesses attempt to use the site for advertising, many fail due to poorly crafted ads. You will learn the language that attracts attention as well as the images and words that folks scroll past without a second thought. Understanding the distinction gives you the opportunity to be one of the successful businesses. Next, the program teaches about how to target the right people on the site so you don’t waste your ad dollars on people who will never turn into conversions. 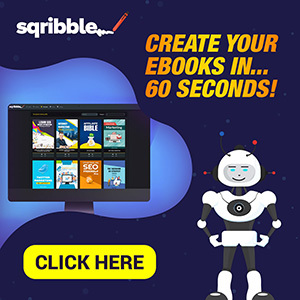 After optimization techniques in the sixth module you will be introduced to several advanced strategies that are lesser known even to those who market on Facebook. With the eighth and ninth modules you will gain more nuts and bolts about using the system and gain certification. This time-tested system does not leave you operating on your own. FB Academy membership comes with around the clock access to the coaches and other team members who understand what you are going through. This community offers expert presentations from internet marketing gurus who have mastered Facebook and ongoing training sessions. On top of that, you will get feedback on how your campaigns are doing in real time so you can see immediately what is working and what is not, allowing you to tweak your marketing when necessary. The certification aspect of the system is one of the things that makes it special. Once you have become an Ads Expert via the system, you will have credentials to back your claims about being able to use the site successfully. If your business is helping others to boost theirs, this will give you a foot in the door against your competition. Remember the five bonus modules that were mentioned in the beginning? These are incredibly beneficial and can really make a tremendous difference in how well you are able to market. The first of these free bonuses is Facebook Ad Swipes. With these you will have access to information regarding high-converting campaigns that have worked for others. Videos, still images and written content will help to inspire your own ads so you can replicate that success. Ad Creation Mastery is the second one and with it you will be given tools that will allow you to create professional images and videos designed to attract FB users and get them to click on your ads. The third bonus is First Campaign Checklists. You see, checklists are one of the secrets of success for business owners and operators of all types. They can help you stay organized and ensure that you don’t miss any steps essential to your success. It comes with several lists, each designed for a specific purpose. In addition, the third bonus have a five-minute routine that can help you. The fourth bonus, Kick-Start Targeting is worth the price of the whole package by itself. Updated regularly, the list will show you exactly what keywords and niches are hot right now. Attempting to figure out which keywords to target is one of the biggest challenges for those new to the internet marketing game. With this bonus, you don’t have to waste countless hours trying to learn how to find them. Instead, it is right at your fingertips. The last bonus is called Decision Maker and is amazing. With it, you have access to personal support for an entire year. These coaching calls are supplemented by 24/7 access to the team. There are even live training sessions regularly scheduled to ensure you don’t feel left in a lurch with a bunch of tools you don’t understand. With many of the instructional methods out there, you are not offered any support after the purchase and are often expected to pay more and more cash in order to get all of the program. However, FB Academy gives you everything you need up front and provides excellent support to ensure your success. Singal has shared everything that he has learned about advertising on Facebook. Since the Academy is ongoing and updated regularly, you can rest assured that you have the most current advertising strategies that are working for companies everywhere. Plus, you will be able to see the reasons that some marketing campaigns don’t work without having to lose valuable cash in the lesson. By following the instructions that are provided in the lessons you can avoid rookie mistakes and focus your efforts on becoming a thriving entrepreneur. You might be thinking that there is no way your business can compete with the millions already advertising on Facebook. However, that is not the case at all. The vast majority of these business owners don’t know how to maximize their use of the site and waste countless dollars every single day showing ads to the wrong people, using poorly crafted ads or making other mistakes that the FB Academy teaches you to avoid. The reality is that many of these businesses will not be around this time next year. While that is unfortunate for them, it is good news for you. By learning now how to focus your FB advertising dollars in the right way you will be growing your company. Every modern business owner must learn to take advantage of internet advertising methods or drown in the competition. Do you want to be a successful entrepreneur with a solid online reputation? If so, the FB Academy system provides everything you need at an affordable price!